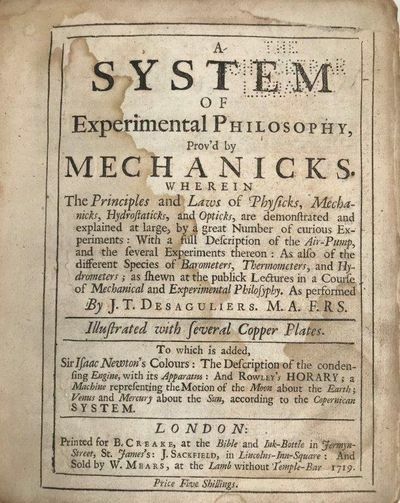 viaLibri ~ A System of Experimental Philosophy Prov'd by Mechanicks, wherein the principles and laws of Physicks, Mechanicks, Hydrostaticks, and Opticks, are demonstrated and explained at large, by a great number of curious experiments. . .